End of the road for Shell’s marketing business in sight? Â The days when it was beneficial for an oil company to be vertically integrated with business all the way from the well head to the petrol pump are long since gone. Shell’s decision to move out of refining in the United Kingdom is logical and almost certainly the precursor of a complete withdrawal from the “downstream”. In the past the “Seven Sisters” secured an almost monopolistic control of the production, transportation, refining, distribution and marketing of oil. This gave them incremental margins all the way along the supply chain and meant that they developed competencies at every step along the way. Although the production of crude oil involved wholly different skills and disciplines to, say, the marketing of automotive fuels and lubricants through petrol stations Shell and the rest were quite comfortable with the creation and management of organisations that had all of these competencies. Indeed when I joined Shell in the mid 1960s those of us in marketing did not see ourselves in any way as the poor relations in the Shell Group. But over the years this began to change. Refining and especially the distribution and marketing of petroleum products are labour intensive activities. However the upstream is far more capital and technology intensive – given the scale of the business manpower levels are comparatively low in exploration and production. So when costs are in the spotlight it is the labour intensive downstream which is likely to suffer. The irony of this is that by reducing manpower and by centralising in marketing you inevitably move further away from the market and become less sensitive to local circumstances. All markets are local and to ignore this truism by taking decisions further and further away from the local market you open the door to others who do not do this. The retailing of petroleum products through petrol stations was not only one of the core businesses of an oil giant like Shell it was also the public face of the company. But over the years successive managements have pulled away from this business area significantly in some markets. In Europe, for example, Shell has reduced its number of petrol stations substantially over the years and pulled out of some countries, like Spain, completely. This has opened the door for other retailers, especially supermarket chains like Tesco or Carrefour. Shell could have competed against these powerful general retailer brands but although they did try from time to time there was never sufficient top management support for a strong differentiation strategy.Â This was largely because differentiation costs money – to make your brand the preferred brand you have not only to offer the consumer more in the way of benefits but also to promote these benefits heavily in advertising and marketing communications. For many years now Shell has been unprepared to do this and whilst there are occasional flurries of activity (like the current campaign to promote “V-Power”) there has never been sufficient funds made available for long-term brand building. And if you cannot make a consumer offer that makes your brand be perceived as better then the only differentiator becomes price. And the more price becomes a weapon the lower the margins and the more marginal your retailing business becomes. With Shell allowing much of its marketing business to become commoditised all of the emphasis turned not to offering the customer more but to minimising costs. Here Shell was up against supermarkets who were able to spread their fixed and variable costs over thousands of products – especially at hypermarket locations. 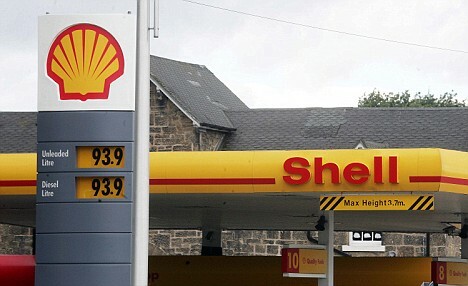 Shell’s unit costs were always going to be higher than those of these giants – the writing for its retail business was on the wall. Add into the decision-making process the fact that top management in Shell spends little or no time on its marketing business – unlike that of say a Carrefour where retailing is the core business of the company. The directors of Shell spend virtually all of their time on upstream issues and projects – the marketing business, though very big, rarely gets a look in and is little understood by Shell’s board members. If it was important then at the very least Shell might consider having a non-executive director with a marketing/retailing background – but they have never even done this. So over the next year or so – possibly even sooner – we can expect to see Shell dispose of its downstream business (including all its petrol stations and other such assets) completely. How they do this will be interesting to observe. One option would be to sell or float off the business as a going concern – and throw the Shell brand in with it. The upstream (etc.) could then trade under the traditional name “Royal Dutch”. A fully focused and entirely separate Shell-branded marketing business could then try and do all the things that “Royal Dutch Shell” has failed to do for years – especially by trying to give customers a reason to prefer their brand. 2 users commented in " End of the road for Shell’s marketing business in sight? " Im, suprised that the article states Shell spends little time marketing its business as in tdays market surely regardless of what company you are it is more important than ever.